Standard and custom built structures of old fashioned quality. 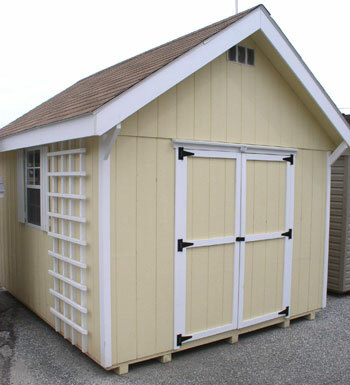 Shed sizes are available from 4 x 8 to 14 x 30. Delivered fully assembled to your prepared site. 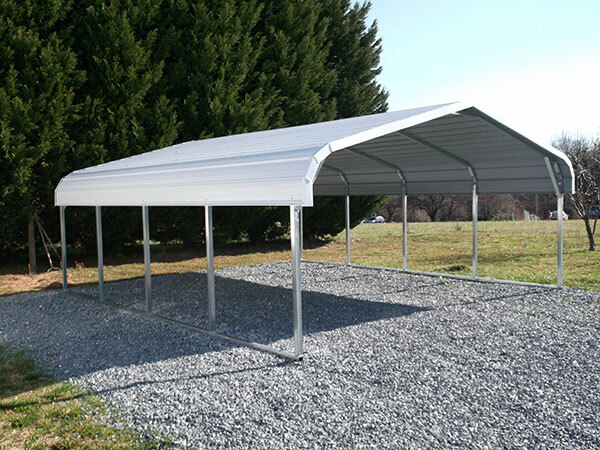 Our floor system lets your building sit up off the ground, allowing air to pass underneath. This keeps your building drier, helping to prevent rusting of tools and equipment. 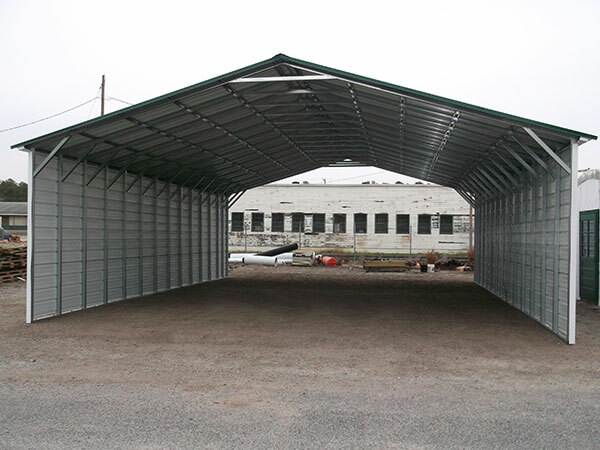 Your building also remains portable so that it can be moved to a new location if needed. Larger buildings are perfect for businesses, hotels, restaurants and more. Anyone who needs to store lots of equipment can use one of these. Large Equestrian / Horse Barns are also available. 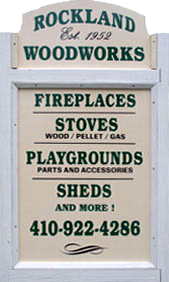 Shed delivery available throughout Maryland including Baltimore County, Baltimore City, Carroll County, Harford County, Anne Arundel County, Prince Georges County, Montgomery County MD, Washington DC and York and Adams County in Southern Pennsylvania. The Dutch Barn is the perfect answer to so many storage problems..and the most economical. Our largest Dutch barn, with room for a loft or other overhead storage. Need an even larger storage solution? Check out the photos below. 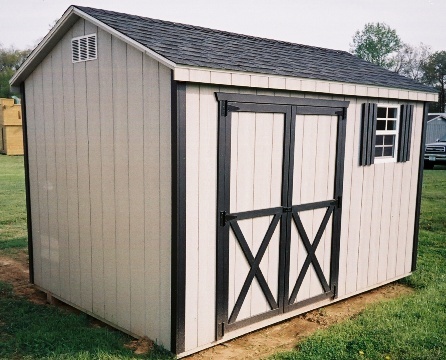 This shed even has a garage style door on one end! The most versatile structure we have, windows and doors can go anywhere you desire! 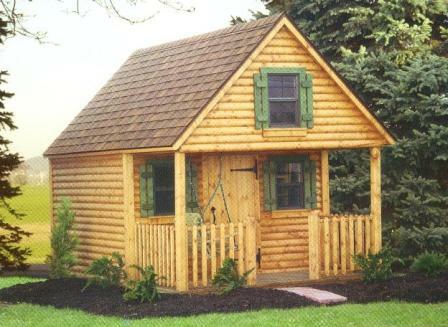 Great in the back yard, as an office, or even as a weekend cabin. You can store just about anything in me, from your long poles and ladders to your autos or boats. Great as a bathhouse, storage shed by your swimming pool, cottage or just a good looking garden structure for your lawn and garden equipment. Only 8 x 4 x 5 1/2 tall. Little enough for the small lot but big enough to store even a motorcycle. Doors can be positioned either high or low side of building. 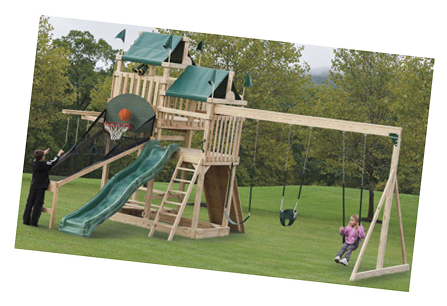 Playhouses, Animal Shelters, Gazebos, Cabins and more are also available!! Options include: Windows, cupolas, weather vanes, vents, ramps, lofts, overhead doors, interior work and special requests. 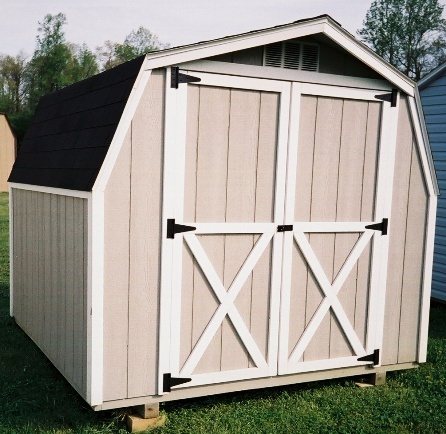 Please call for more details and range that we can deliver these sheds. 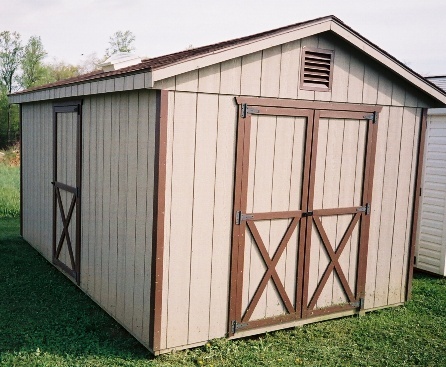 All sheds can be painted in a wide variety of colors or done in vinyl siding.